Halifax, NS – More than 100 musicians will be onstage to perform Shostakovich’s intensely powerful Symphony no. 10 on Sunday, March 6 at 7:30 pm at the Rebecca Cohn Auditorium in Halifax. This performance features not just one, but two orchestras – Symphony Nova Scotia and the Nova Scotia Youth Orchestra – in a joint concert that’s become an annual tradition. It’s a unique opportunity for young musicians to learn from their teachers and mentors in a hands-on environment, while giving Nova Scotians the opportunity to hear the huge sound of a large orchestra right here at home. This concert marks the combined orchestras’ first-ever performance of Shostakovich’s Symphony no. 10, a massive work that’s rarely performed in Halifax. This intensely powerful symphony is universally regarded as the Russian composer’s finest, and also his most personal. It was written in 1953, immediately after the death of Joseph Stalin, and its emotional journey through anger, defiance, and triumph reflected Shostakovich’s own experience under the Soviet regime. The concert will also feature Weber’s rich, haunting Clarinet Concerto no. 1, performed by guest clarinetist Marc Blouin. Marc is a Toronto native who studied in Halifax for many years, and is a former member of the Dalhousie Symphony Orchestra and the Nova Scotia Youth Orchestra. The concert will be conducted by Symphony Nova Scotia’s Music Director Bernhard Gueller, who looks forward to this concert as one of his favourites each year. “After last year’s weather took its toll on our annual collaboration with the fabulous young musicians of the Nova Scotia Youth Orchestra, I am even more looking forward to this one,” says Gueller. Tickets are on sale now! Prices begin at $30 (HST included) and are $16 for under-30s. Or, you can pick up a ticket package and save up to 30%. Tickets are available at the Dalhousie Arts Centre box office (6101 University Avenue, Halifax), at 902.494.3820, or online at symphonynovascotia.ca. Clarinetist Marc Blouin believes in a “dive-right-in” approach to music making (although he concedes that this mantra should never be taken literally). Over the past few years, he has played with orchestras, chamber groups, jazz ensembles, new music collectives, and even a twelve-piece folk rock outfit that wrote music about pirates. Marc has held principal clarinet posts of both the Nova Scotia Youth Orchestra and the Dalhousie Symphony Orchestra. He has also performed with the University of Toronto Symphony Orchestra, Nova Sinfonia, and Symphony Nova Scotia. In 2013, he appeared as one of four soloists with the NSYO in the world premiere of Juno winning composer Derek Charke’s Concerto Grosso. He also performed Aaron Copland’s Concerto for Clarinet, Strings, and Harp with the Dalhousie Symphony Orchestra in 2014. An alumnus of the 2013 Domaine Forget Summer Music Academy, Marc was also a Young Artist at the 2014 Scotia Festival of Music. In June of 2015, he performed R. Murray Schafer’s epic oratorio, Apocalypsis, along with 1,000 others as part of the Luminato Festival in Toronto. Marc completed his Bachelor of Music at Dalhousie University, where he studied with John Rapson and Eileen Walsh. During his time there, he was awarded several scholarships including the Elisabeth Meyerhof Scholarship in Music and the Richardson Family Experiential Learning Award. 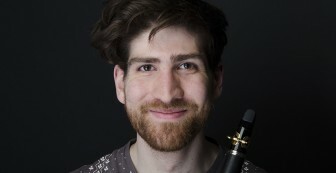 He is currently completing a Master of Music at the University of Toronto, studying with former Toronto Symphony Orchestra clarinetist, David Bourque. A Toronto native, Marc left a large piece of his heart in Nova Scotia. 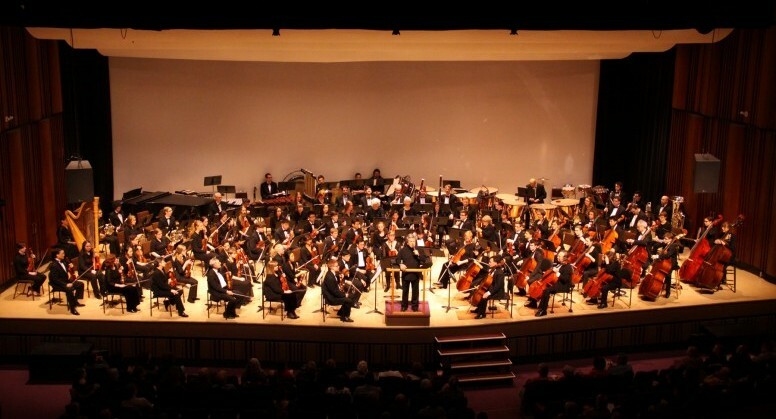 The Nova Scotia Youth Orchestra is a non-profit organization that was founded in 1977. For 35 years, the NSYO has provided students with educational opportunities not available at any university, public school, or conservatory in the province. The Orchestra has been described by renowned professional conductors and musicians as one of the finest in Canada. 85% of its alumni have gone on to jobs in music-related fields. The NSYO now boasts nearly 1000 alumni. Past Music Directors include: Robert Raines, Stan Fisher, Georg Tintner, and Gregory Burton. Its current Music Director is former Symphony Nova Scotia Resident Conductor and current Composer in Residence, Dinuk Wijeratne.